The Wilmington Art Association coordinates and supports educational opportunities for its artist-members as well as the arts community. Being an artist means a lifetime of learning and the association provides an array of programs and workshops. We also offer museum field trips, paint-outs, studio walks, and lectures. Please check back often to see the current list of upcoming programs. The idea of a critique can send shivers for many artists, a throwback to the angst and vulnerability to criticism and negative feedback of past academic experiences. How can we create a new context for the traditional critique? Do you enter juried shows or hope to get into a gallery? Would you like your work to be more consistent and personal to your creative voice? How might we create a space for positive input and inspiration for you and your work? In this workshop, artist-educator, Kirah Van Sickle will lead students through the fundamentals of art and composition that will lift your current practice, providing a template for a more authentic relationship to your process. All mediums and genres welcome! Through her lecture/presentation, in depth handouts and myriad of examples, Kirah will share insights to show judging, gallery and exhibit evaluation processes, and ultimately guide us through a more supportive, academic critique process. Please bring up to 2 works completed or in progress. We will practice our analytical skills to offer meaningful direction to move these works to a richer, more dynamic level, as well as confidence in your own self-evaluation skills. Working in an alla prima method, Suzanne Morris looks beyond the literal interpretation of a scene to capture the spirit of her subjects. Drawn to a scene that is magically transformed by the light falling across it, she uses a limited palette to create harmonious paintings that tell a story of a particular time and place. A member of many organizations, she has won numerous awards and has been featured in many galleries. Her paintings are held in both private and corporate collections across the country, notably the Duke University Hospitals, UCLA Medical Center at Irvine, Burt’s Bees, East Carolina Bank and the Commandant of Midshipmen at the Naval Academy. 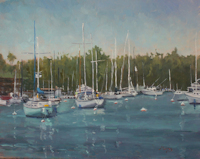 Her work has been featured in American Art Collector, Plein Air, and Southwest Art. Her very popular workshops are well attended and eagerly anticipated. Joseph DiGiulio, the judge for this year's WAA Annual Juried Spring Art Show and Sale, is a professional abstract painter. You may have heard his name or seen his work in a variety of places - in banks and coorporations, at RDU, at Duke Hospital and in the new PNC Plaza building in downtown Raleigh. He is also the Educational Accounts Manager and Executive Artist for Jerry’s Artarama where he holds workshops as well as produces art DVDs. He has helped develop acrylic colors for Matisse Derivan and participated in testing of Charvin Oil Colour. Educated at East Carolina University, Joe originally worked in the textile screen printing industry. He holds numerous awards with his bold and dynamic art and has juried numerous scholastic art competitions. 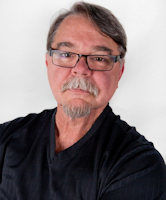 His work is represented in numerous galleries in Raleigh and Calabash. We are honored to have Joe lead this WAA workshop in abstract painting using acrylics. All levels are welcome. 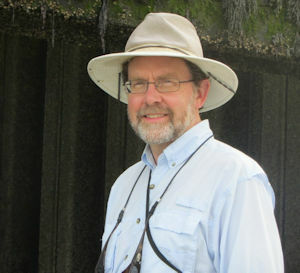 Michael Chesley Johnson is one of the country's top plein air painters. He is a Signature Member of the American Impressionist Society and the Pastel Society of America. His paintings and articles regularly appear in The Artist's Magazine, the Pastel Journal and American Artist. 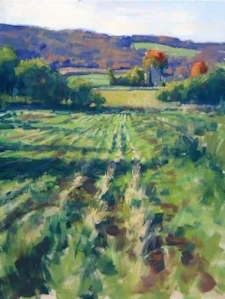 Michael gives workshops in pastel and oil throughout the country. We are honored to have him lead a WAA workshop in both pastel and oil with demos and instruction in both media. All levels are welcome. 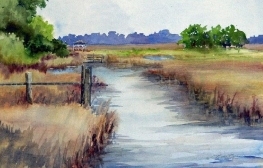 The Wilmington Art Association proudly presents PAINTING STILL LIFE, LANDSCAPE, AND THE HUMAN HEAD IN WATERCOLOR with well-known local artist Betty Brown. Betty will teach a three-day workshop at the New Hanover County Arboretum October 27 - 29. Students will need at least a minimal background of painting in the watercolor medium. 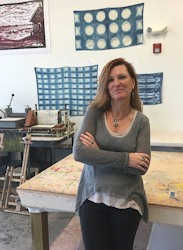 Betty, an honors graduate in art from UNCW, has vast experience as an exhibitor, juror and teacher. Betty is a signature member of the Watercolor Society of North Carolina and a nationally-collected prize-winning artist in both oil and watercolor. She is well-known as an outstanding instructor.